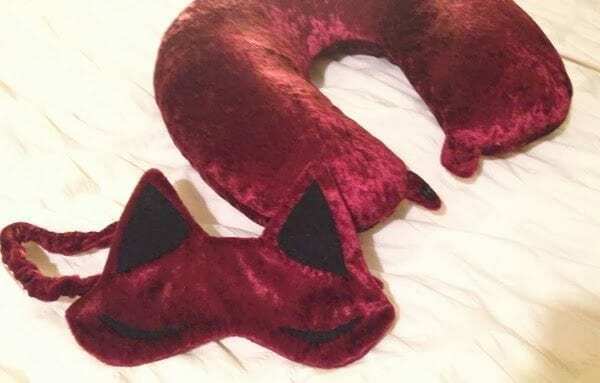 Now for something completely un-sewing related! 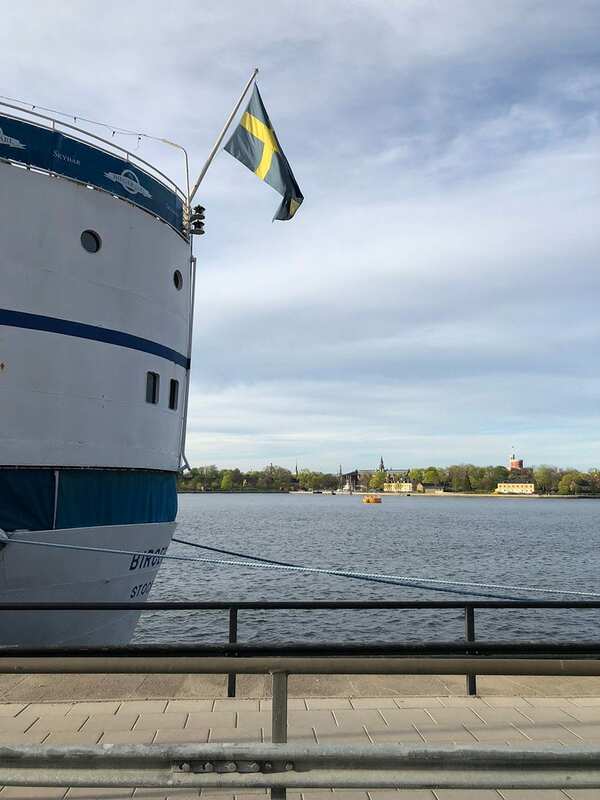 I had a lot of questions about my recent visit to Sweden, so I thought I’d share a little bit more about that trip with you, especially since I completely fell in love with Stockholm and want to spread the Scandinavian gospel. 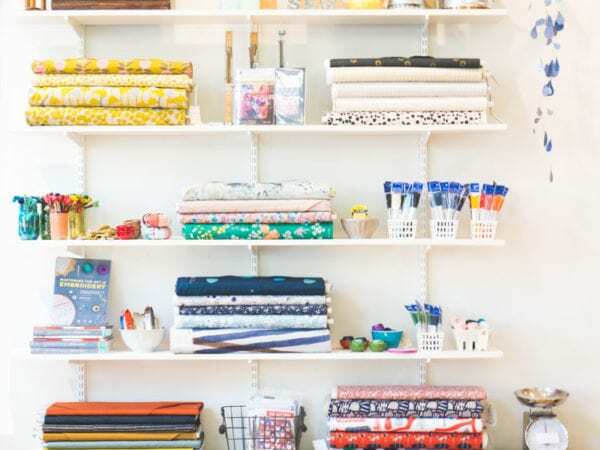 It all started because I was invited back to teach again at the New Craft House in London in May (I’m back in September if you want to take a jean-making class with me!) Last year I stayed in London for two back to back weekends and explored the city, but this time around I wanted to take advantage of the proximity and affordability of nearby travel; it drives North Americans absolutely insane when we think about how quick and cheap it is to hop on a flight and end up in a completely different country in under 3 hours. One of the crappier side effects of my recent breakup is the fact that I’m no longer spending a few weeks in the south of France every summer with my ex’s family, so I decided to take myself on a little single vacation to cheer myself up. I was way too broke to travel for my twenties and most of my thirties so I haven’t been very far outside of France and a weekend trip to Barcelona a few years ago, and I’m grateful I have the ability to turn work into an opportunity to travel now. Stockholm has been on my bucket list for a long time. A good friend of mine goes back every summer and all I’ve heard for years is how damn beautiful it is. 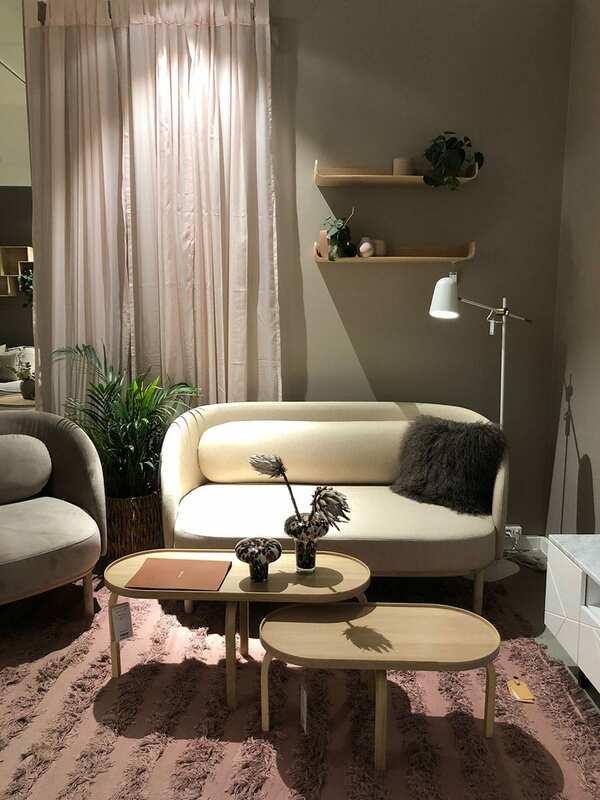 My personal aesthetic has been turning increasingly Scandinavian over the years and I wanted to walk around and soak in the design like a bath. 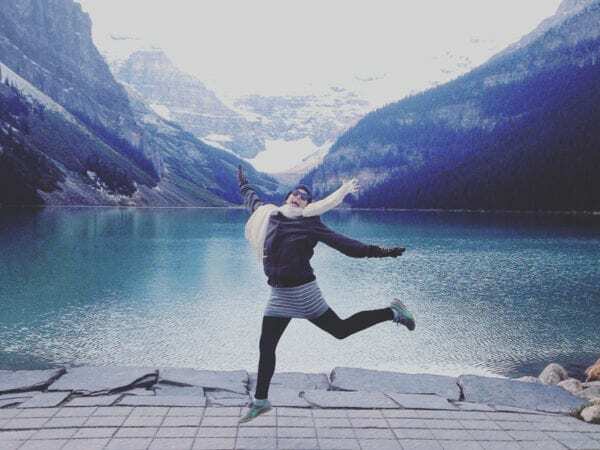 I also chose Stockholm because it was my first solo trip to a country where I don’t know anyone, and I didn’t want to be stressed about language or feel unsafe walking around (I’m realizing as I get older how anxious I am, and travelling gives me enormous anxiety so alleviating that whenever I can is helpful for my mental wellbeing). 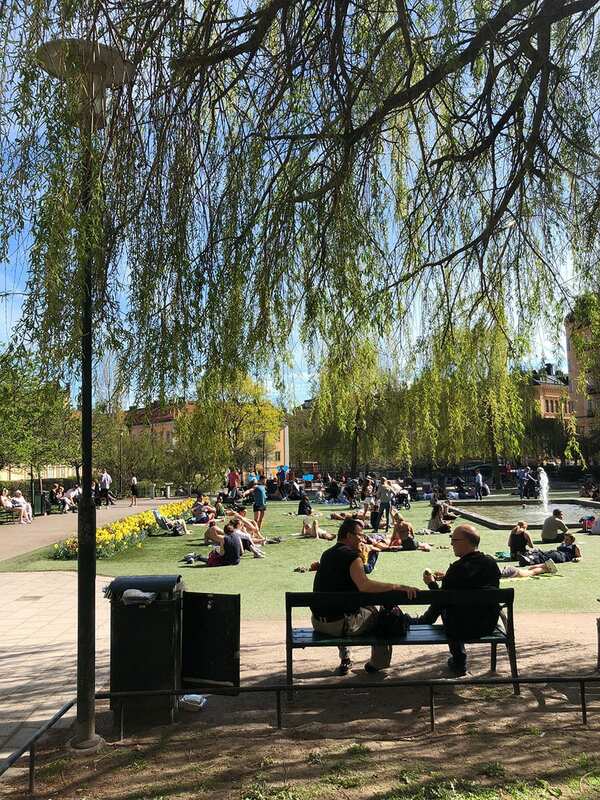 Suffice to say, Stockholm is one of the chillest, safest cities I’ve ever visited; it actually reminds me a lot of Montreal in that particular “I feel at ease everywhere” vibe. I think it’s because the social safety net is so strong; you don’t feel the stress or tension you might encounter in places where the standard of living isn’t quite so high (for the record, I saw a grand total of two homeless people in four days). Absolutely everyone speaks flawless English (cheerfully!) so communicating was a delight, although I do love the Swedish greeting of “Hey hey!” everytime you say hello. 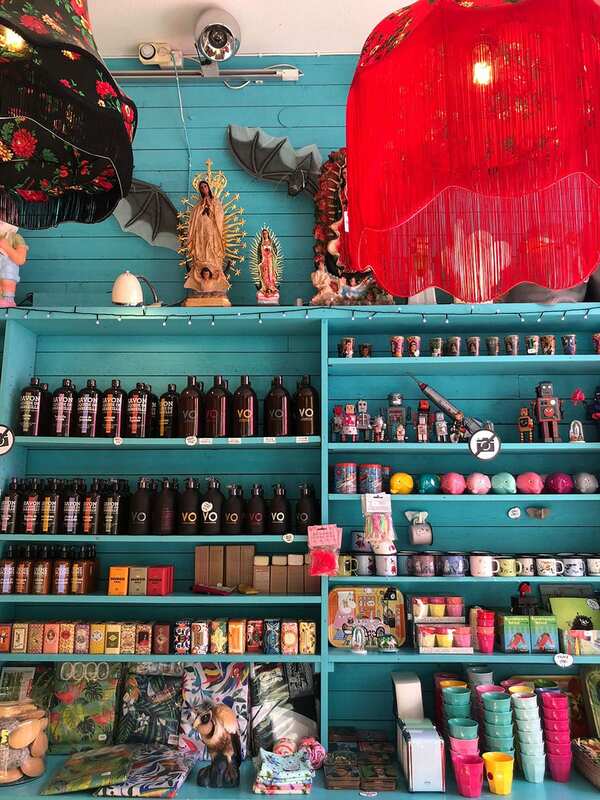 In general, I found everyone I encountered to be very friendly and kind, including salespeople in fancier shops. Nothing at all like Paris in that regard. The city itself is compact and super walkable. Everything is laid out on a series of islands connected by bridges, and the public transportation system is the best and cleanest I’ve ever seen (seriously, I would probably eat off the metro floor if you double dog dared me to). 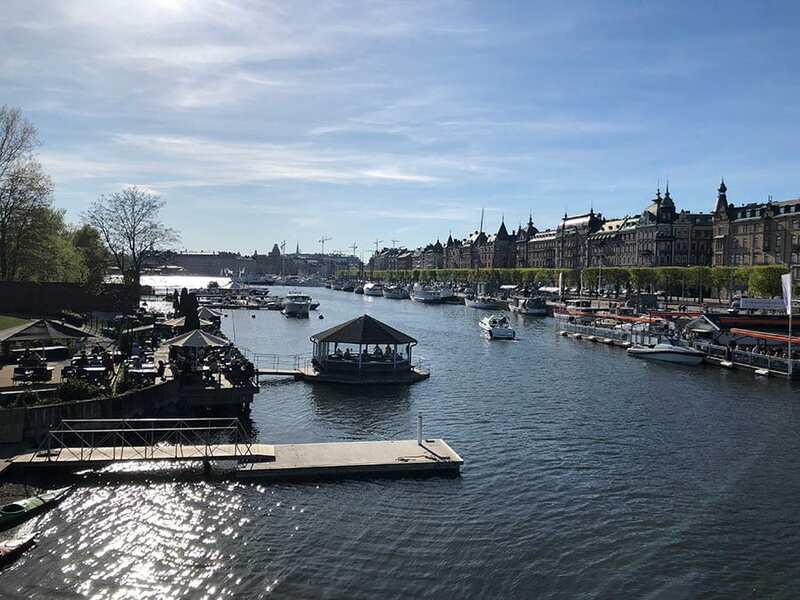 It’s easy to get around by foot; I stayed on Sodermalm (the hip, “happening” neighborhood) and could pretty much walk everywhere I wanted to go. Gamla Stan is the medieval part of town with narrow cobbled streets and the Royal Palace, Ostermalm is the fancy residential and shopping district, Vasastan is a pretty residential neighborhood with lots of restaurants, and Djurgarden is where most of the museums are (which is a lot – Stockholm has LOT of museums). There is obviously a lot more to the city, but those were the parts of town I had a chance to explore in the four days I was there. I easily could have stayed another week (or lived there forever, to be honest, It’s one of teh few cities I could imagine forsaking my beloved Montreal for). My overwhelming feeling was one of pure, visual joy. 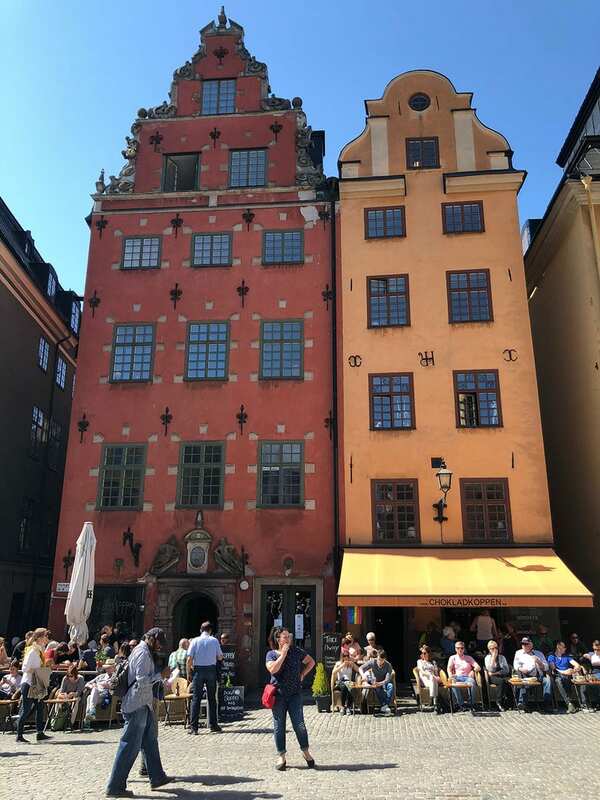 Stockholm is hands down the most beautifully designed city I’ve ever visited; every single shop, cafe, and restaurant is an Instagram moment. There is no such thing as a dive bar; even the “whatever” neighborhood place is prettier than just about anything anywhere else. Walking into stores was absolute torture since I had a small suitcase and couldn’t bring much back with me. 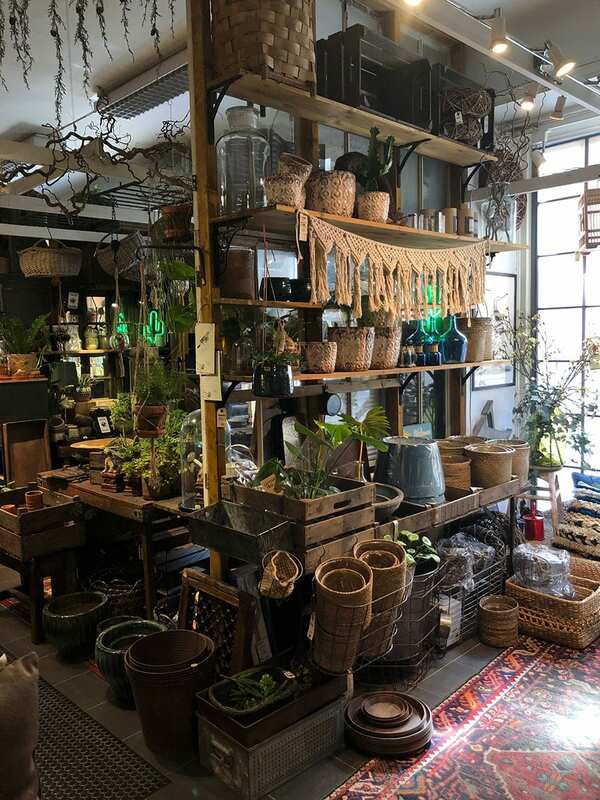 The home goods scene is absolutely ridiculous and if I had a shipping container and a limitless budget you bet your heinie I would have brought most of Stockholm back home with me. 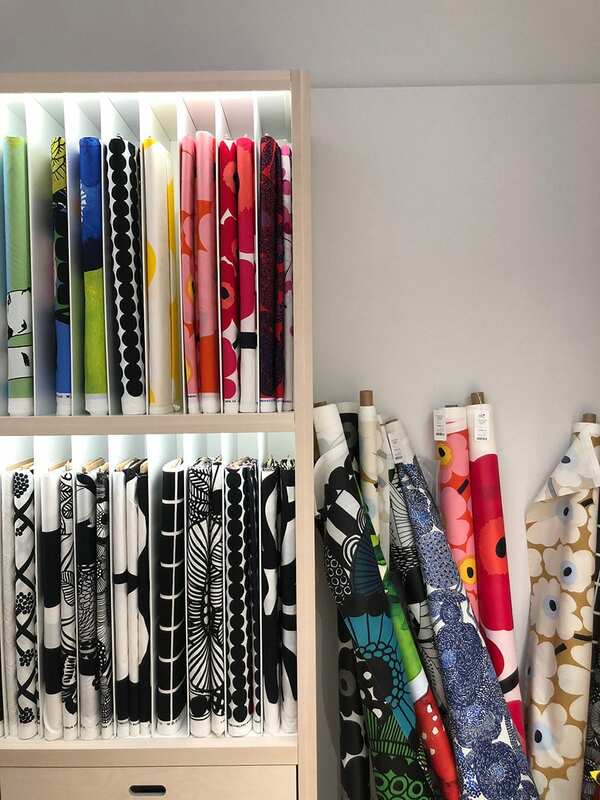 Textiles, furniture, accessories…Swedes KNOW WHAT THEY ARE DOING. 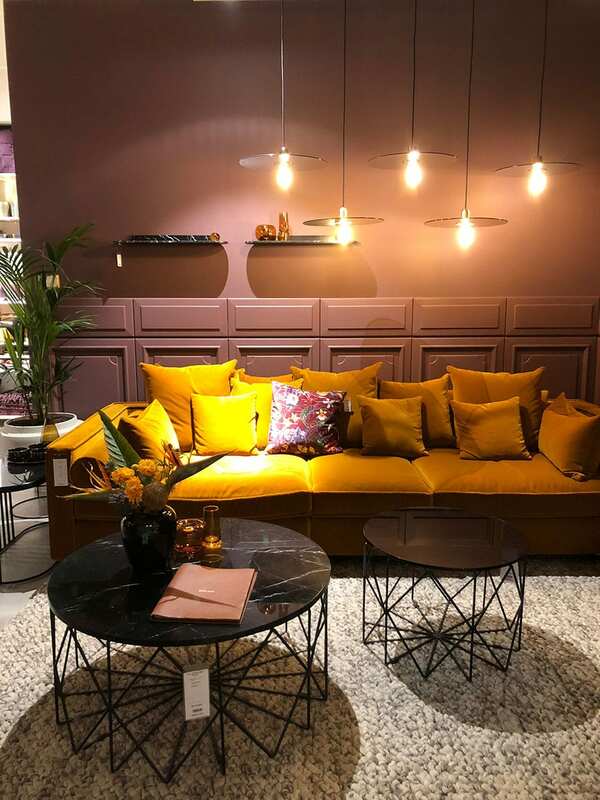 I loved seeing the way they use colour; I think we associate Scandinavian design with white minimalism but I clocked a serious tendency towards deep, saturated, rich shades. I was so inspired I painted my bedroom what I will forever call “Stockholm blue” almost the minute I got home. The fashion too was glorious; so many stylish people walking around everywhere all the time that I almost became blind to it, although I remember a few spectacular looks I would love to recreate (a silkscreened floral duster coat is burned on my retinas). There seems to be a lot of homegrown support for local designers and I spent a solid two days window shopping and people watching, and followed a few people trying to get better pictures of their outfits (it’s a miracle I wasn’t arrested). I love Swedish style. there is a sense of balance, colour and proprotion that must come from drinking the tap water. I tried to drink A LOT of tap water. Because I wasn’t sure when I would be back, I had a crazy itinerary and saw as much as possible. I shared most of these images in my Instagram stories; traveling on your own can get lonely so it was fun to share what I was seeing. My biggest regret was not having a few more days to just chill and relax, which is easy to do with all the parks and cafes and cute dads with strollers. So many dads with strollers you guys! I met a few folks while I was there and was told that in Sweden, the only way to maximize your maternity pay is if the father takes a three-month paternity leave as well, which encourages men to spend time with their babies, which means lots of Viking-looking dudes with huge blonde beards pushing prams and making my damn day everywhere I went. I would love to go back and spend more time exploring other neighborhoods, and traveling up the archipelago, maybe renting a Swedish cabin by a lake (a girl can dream). I did a tourist-y boat trip just to get a sense of the city and saw so many places I would love to revisit, like the tiny allotment gardens dotting the edge of Sodermalm. I’m also eager to see more of Scandinavia in general; it’s such an inspiring place to visit if you’re design-minded, and I’m curious about discovering the differences between Norway, Denmark and Finland. 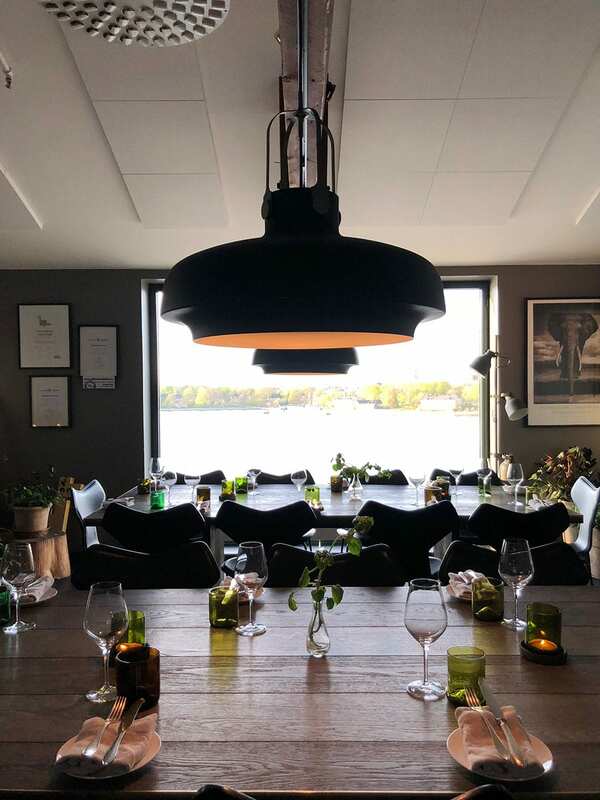 I’m certainly not an expert, but I thought I’d share some of my favorite places in Stockholm. Thank you to everyone who told me where to go! I didn’t have a bad meal in Stockholm, even when I was rushed and stopped wherever it was convenient. 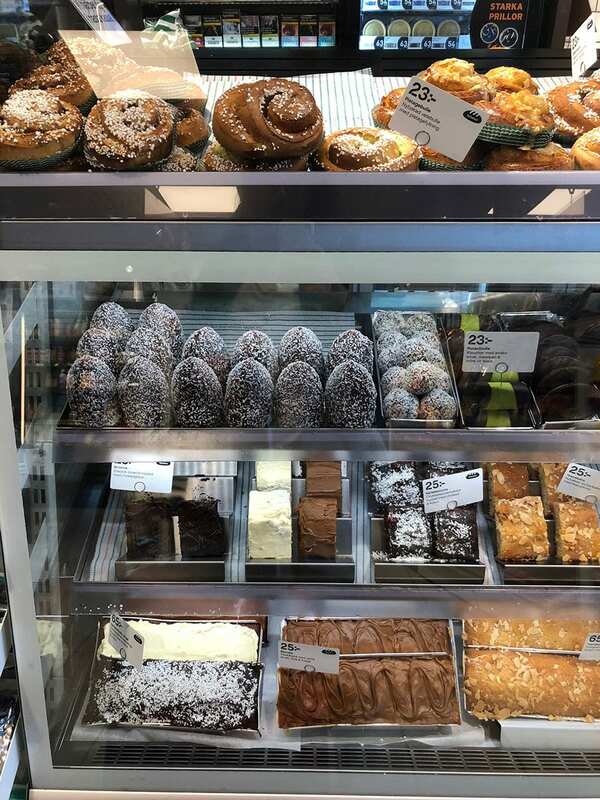 There are 7 Elevens literally everywhere, but they all carry healthy food and tasty pastries so that’s a good option if you’re rushed or trying to save money. 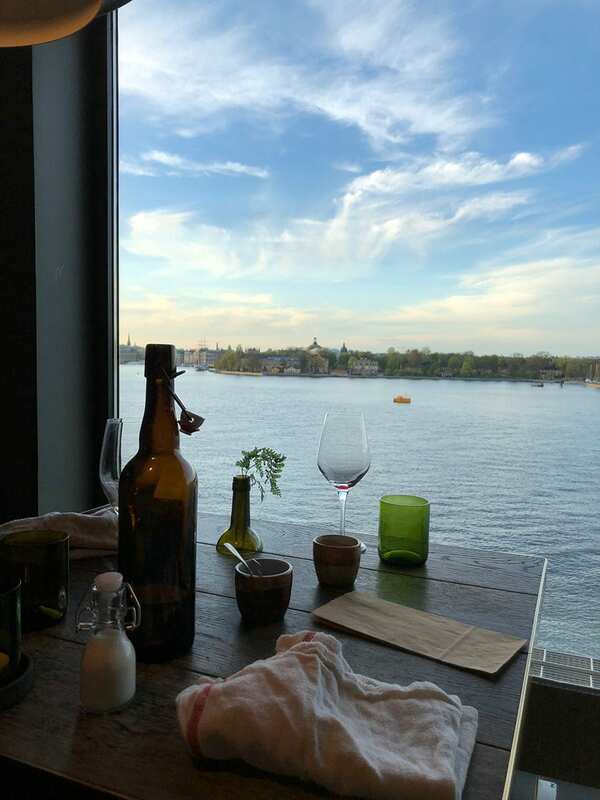 My best meal was at the Fotografiska museum; I practically cried while overlooking the water and eating whatever foraged goodness was served to me. 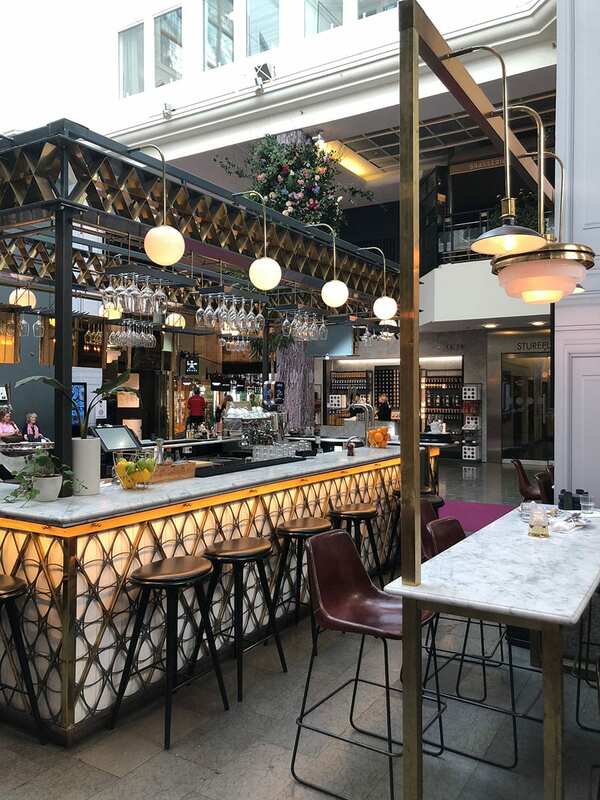 I had a very classically Swedish meal at Tenstoppet, the best cocktails of my life at Erlands and a tasty and affordable Italian meal at Deli de Luca. 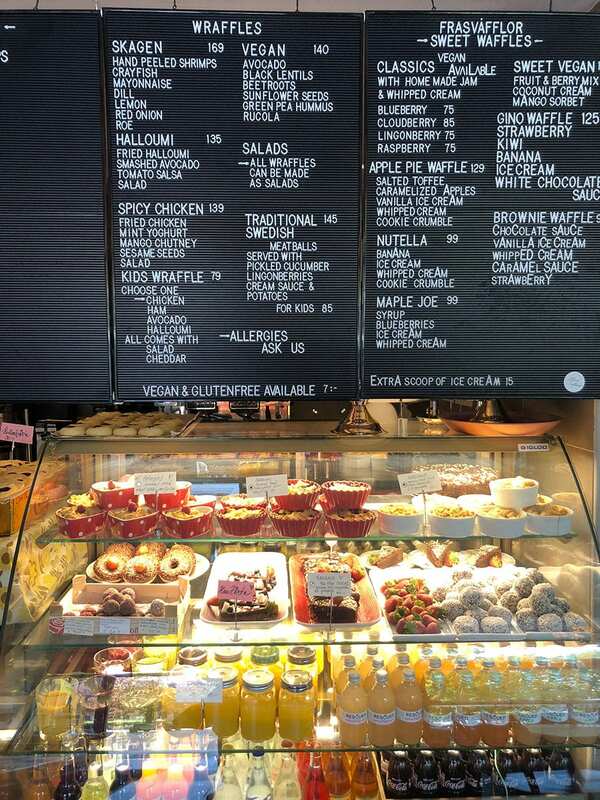 I tried to stop for fika every day (delicious pastries + coffee). 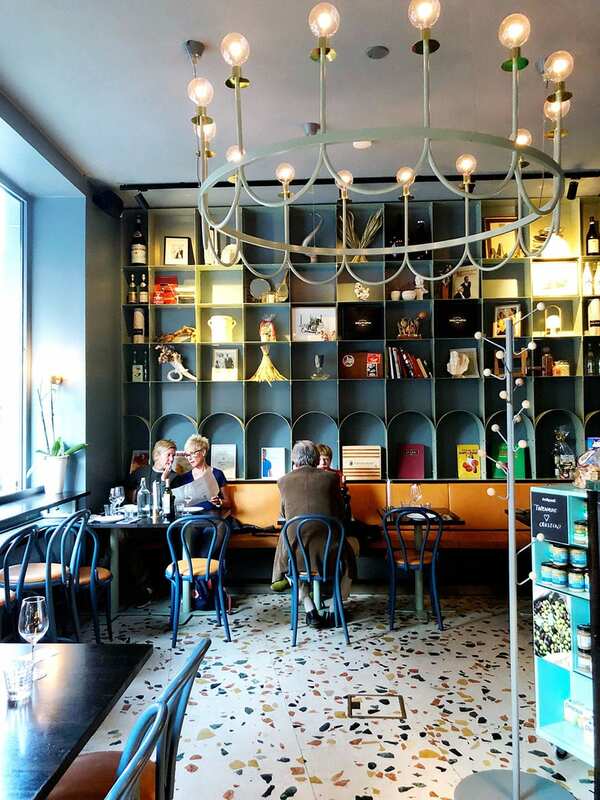 On my final day I ate a crazy delicious salmon and roe waffle at Alskade Traditioner. It’s hard to go wrong; Swedes love food and take cooking and eating out very seriously. However, Stockholm is definitely a little more expensive than other cities in Europe; an average “cheap” lunch was over $20 Canadian. My most expensive meal was over $100 (and worth every penny), and drinks are definitely on the higher end (I think I ended up spending $12 for a small beer at one of the fancy places along the water). The conversion was kind of hard to figure out when I was in the moment but thankfully I didn’t have a heart attack when I got my credit card bill. I would do a little menu research before you go to get a sense of the cost of eating out. 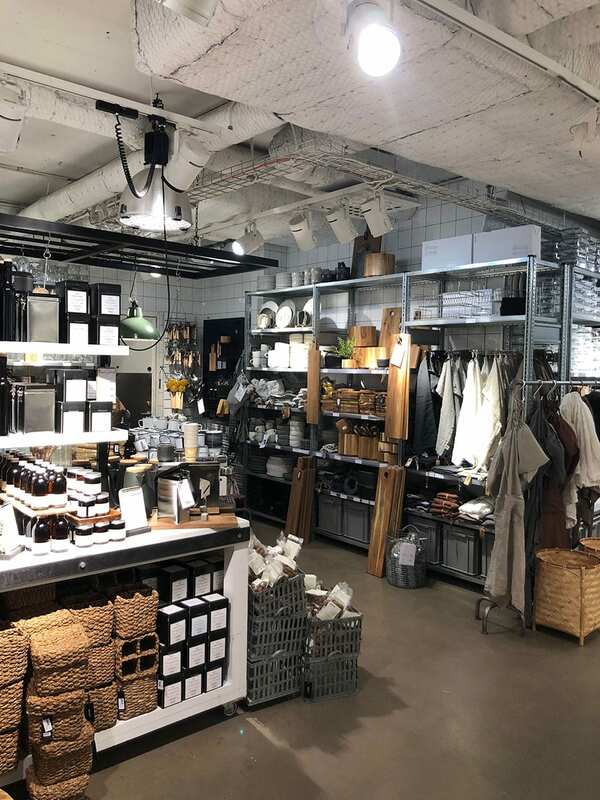 The shopping in Stockholm is aaaaahhhhhmazing. 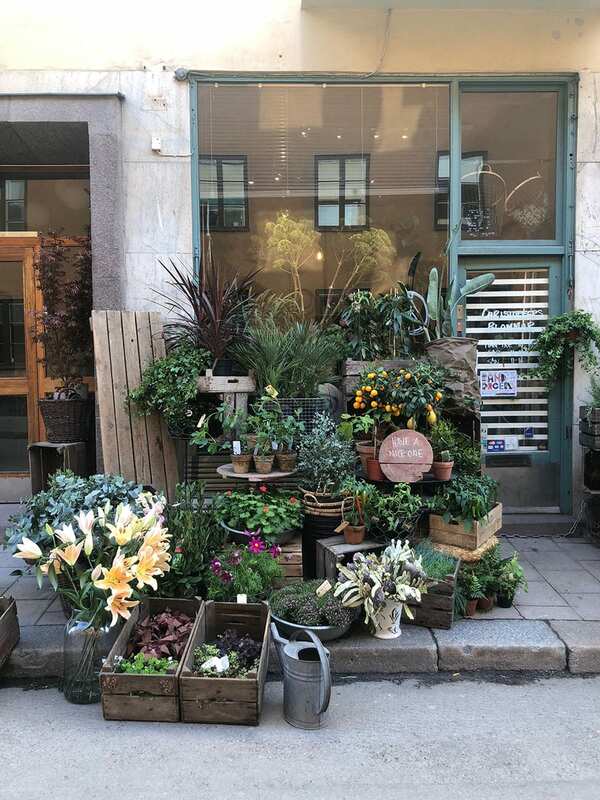 Definitely wander around Katerina Sofia in Sodermalm; I was blown away by all the beautiful, idiosyncratic shops and boutiques, in particular, Grandpa (hipster prettiness), Acne (Swedish minimalism) and Konst-ig (amazing books and prints). Ostermalm is home to the main shopping district; stop by NK (huge department store featuring a lot of Scandinavian designers), Granit (earthier, smaller scale Ikea), And Other Stories (Scandi H&M, for inspo), Nordiska Galleriat (Scandinavian furniture heaven), Svenskt Tenn (classic, whimsical Scandivan prints), Marimekko, Rodebjer and Filippa K (super gorgeous clothes). I also feel like it’s important to mention the thrift shops. 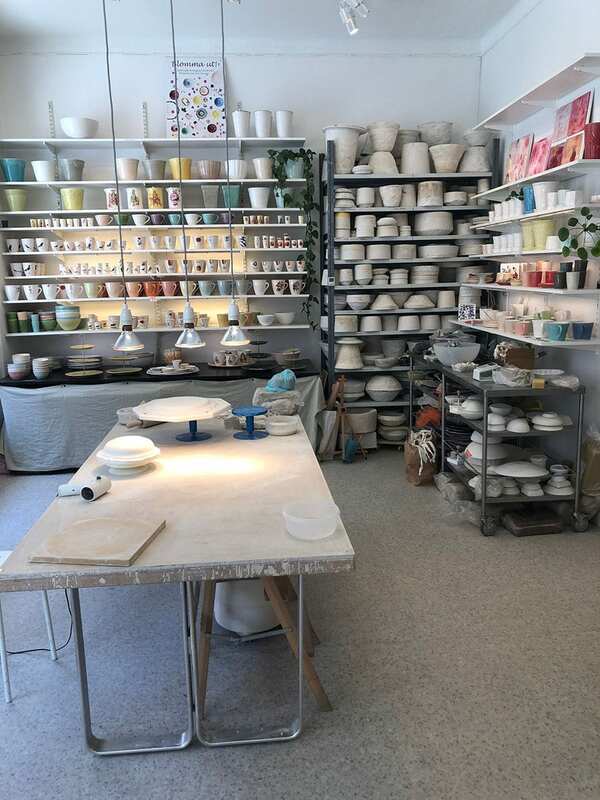 I popped in a few and had mini-meltdowns because a) Swedish cast-offs are naturally things I want to cast on and b) they didn’t smell like dusty mothballs. They actually just smelled like nice, normal stores. I saw lots of interesting textiles, home stuff and clothes, but was again limited by the size of my suitcase. 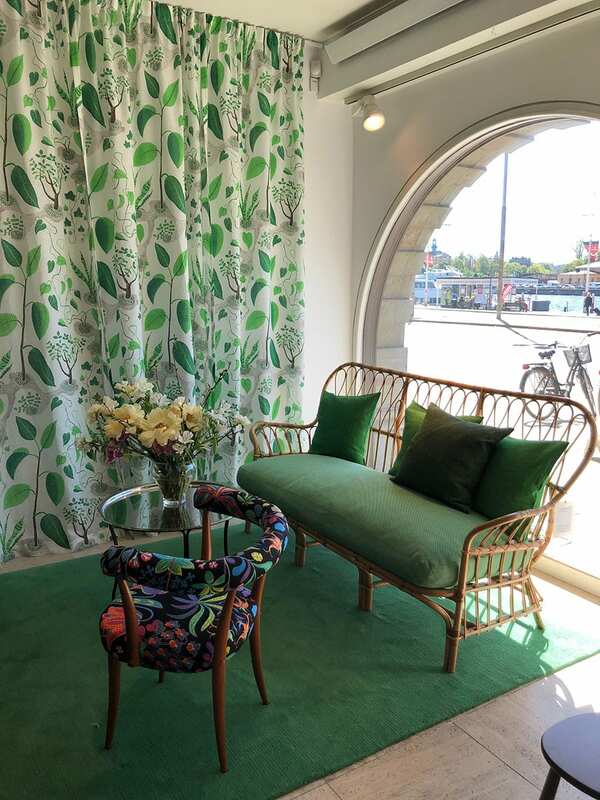 One of the sewing ladies I met up with told me that Stockholm thrifting is over-picked and over-priced and suggested going a bit outside of town next time, which I would definitely like to do. It makes sense; the taste level in Sweden is so high, of course the thrifting will be great too. 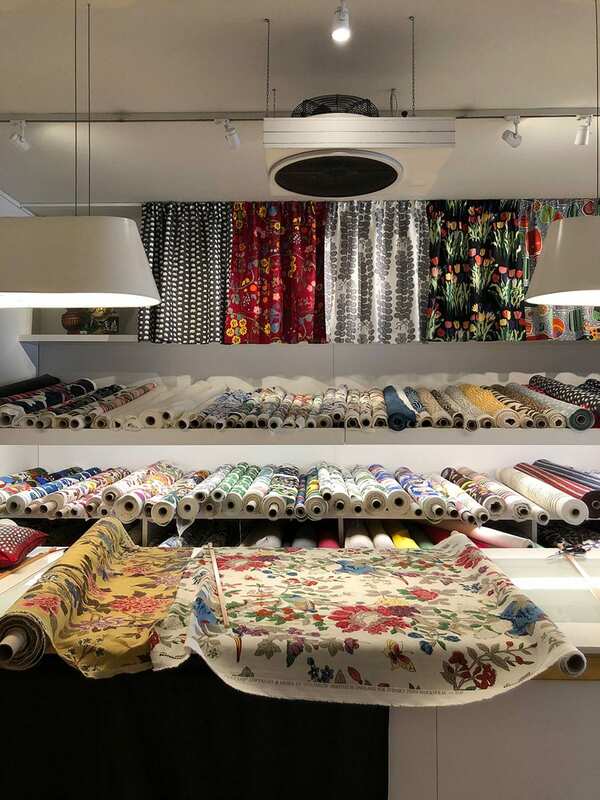 There is also Röda tråden for underwear fabrics, Sidencarlsson for more silks and occasion-wear-fabrics, Mattsons band for everything ribbon, a big ole’ Stoff & Stil outside of town and Söders tyger for a smaller selection of what Ohlssons and Tygverket have. 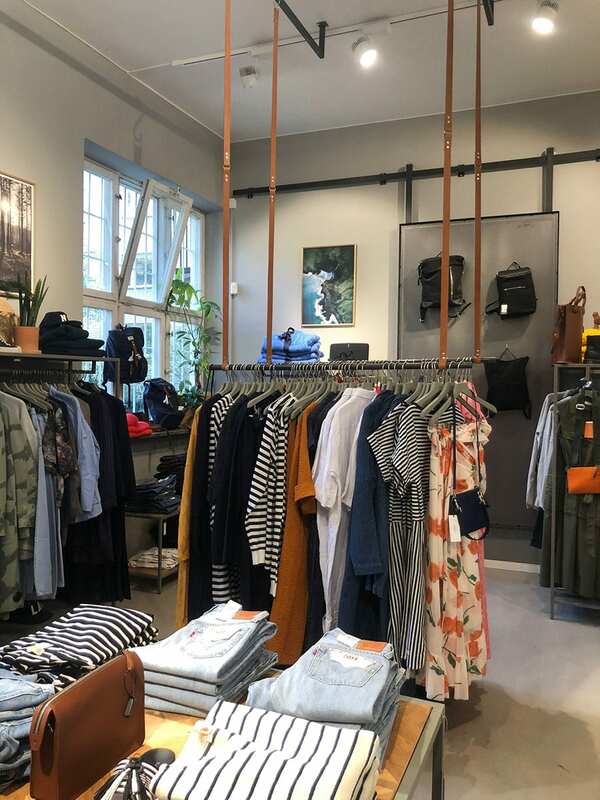 Ohlssons tyger is generally the most affordable out of all of them, and it is a chainstore. Where to begin? 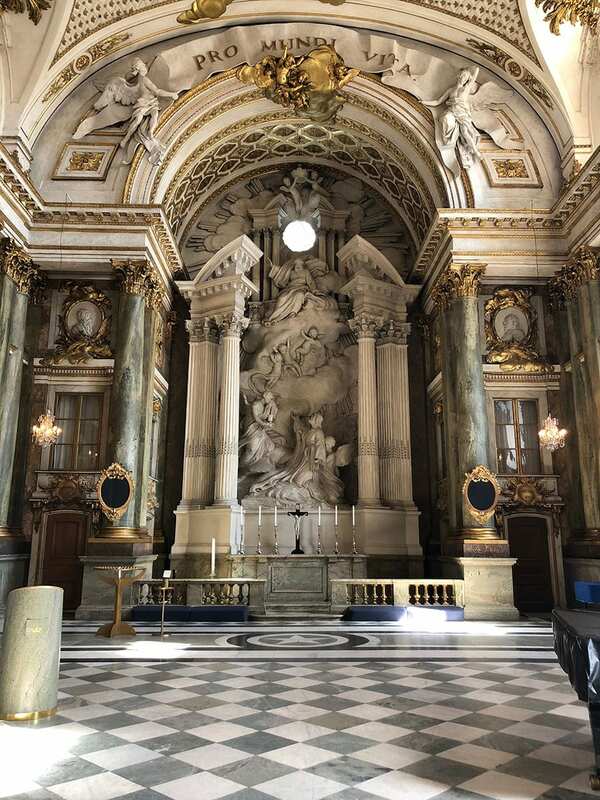 Stockholm has amazing museums and I visited most of them. 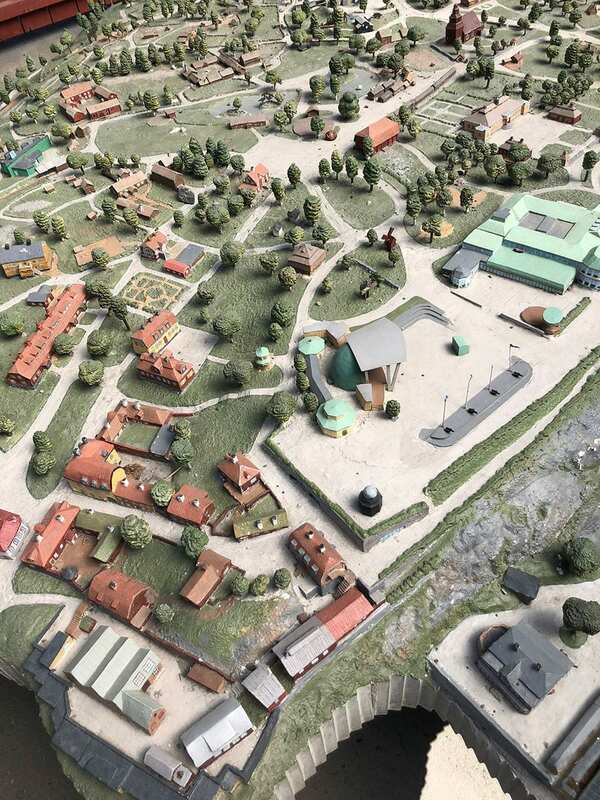 A must is Skansen, an enormous open-air museum that recreates Swedish life through the ages. 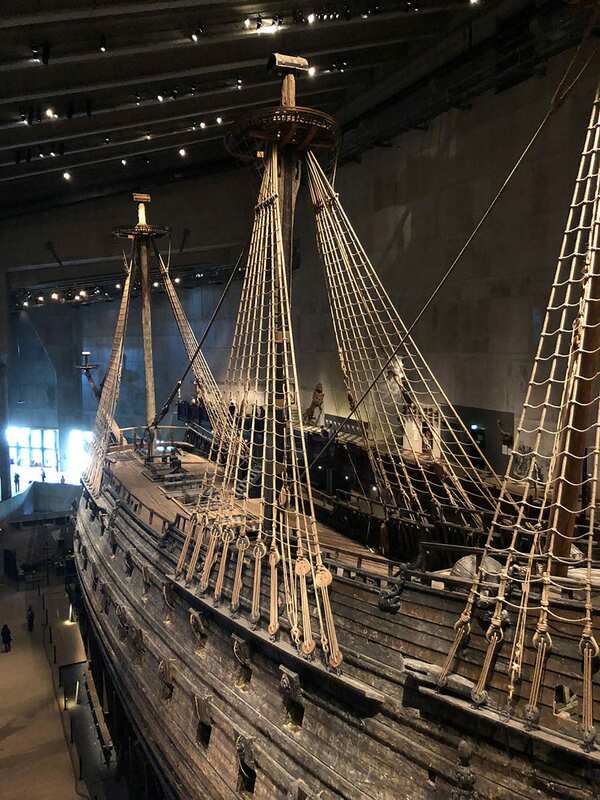 On the same island, see a perfectly preserved 17th-century ship at Vasa (more fascinating than it sounds), cultural history at the Nordiska Museet (including some great furniture, fashion and Sami exhibits) and the glories of Abba. For art, the Moderna Museet is beautifully curated with some great exhibitions. The Fotografiska doesn’t have any permanent collections but had 4 stellar photography exhibits when I visited. The Royal Armoury is free, and they currently have a nifty royal carriage exhibit. Phew! 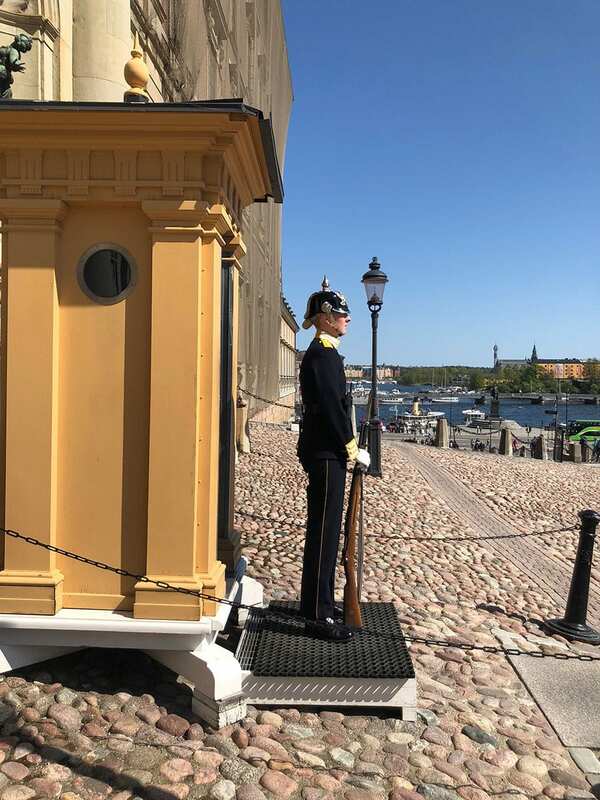 This post took forever to write, so hopefully you get something out of it if you ever visit Stockholm, which I highly suggest you do. I am heading back to London in September to teach and am hoping to do another quick trip in between workshops. Right now the top contenders are Copenhagen (clearly haven’t had enough of Scandinavia yet), Rome, Berlin or Marrakesh, although I’m only doing the latter if some of my London sewing pals join me because I’ve heard traveling as a woman alone in Morocco is not the funnest. I’m kinda feeling Rome; I’ve never been to Italy before and I just want to eat EVERYTHING. Open to suggestions if you’ve got ’em! 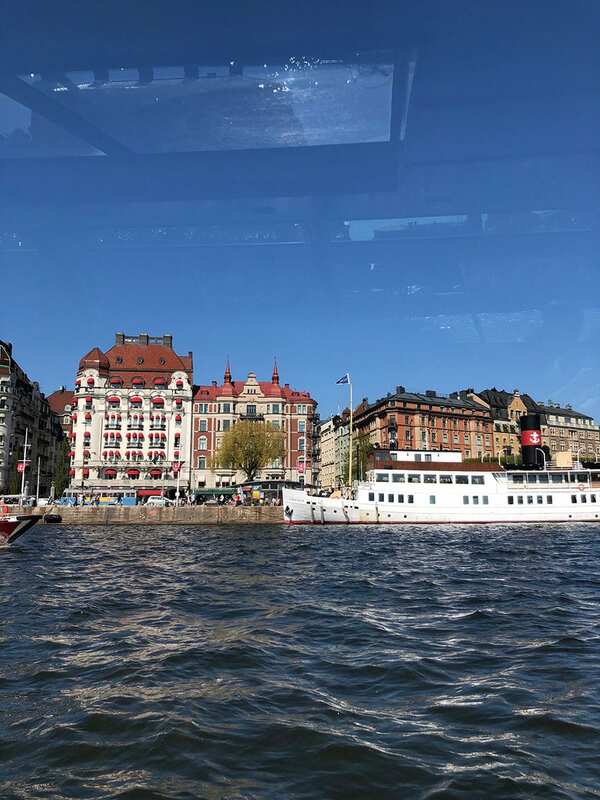 Have you been to Stockholm before? Pipe in with your favourites! I know I left out a million good spots.